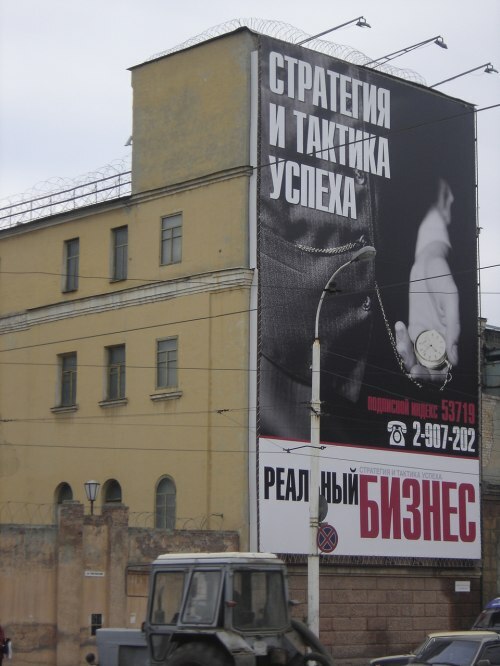 This Russian billboard reads, "Strategy and tactics of success. The real business." The billboard is hanging on the wall of the city jail in Rostov. Source: advertka.